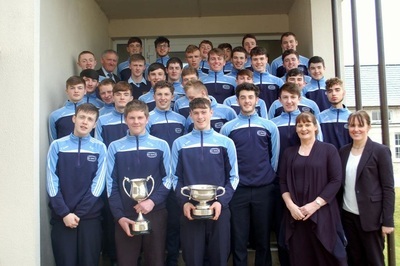 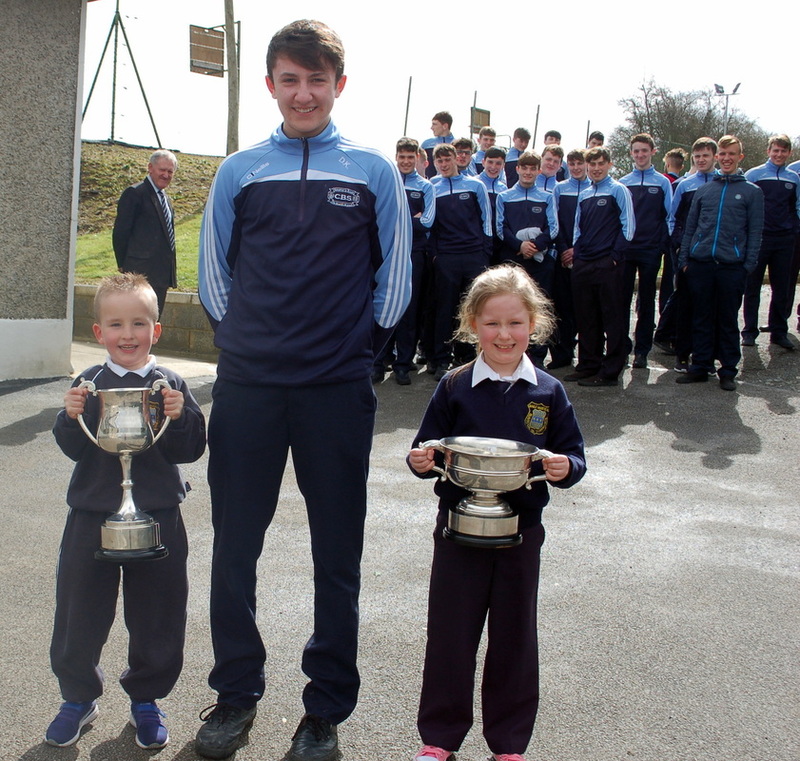 Everyone in Bunscoil na Toirbhirte was delighted to welcome the Mitchelstown CBS senior footballers with their Principal Ms. Mary Hannon and trainer Mr. Will Duggan to the school on Monday 4th April, on their return from the Easter holidays. The CBS team created history in St. Conleth's Park Newbridge on March 26th by winning the All-Ireland senior C​ football final. 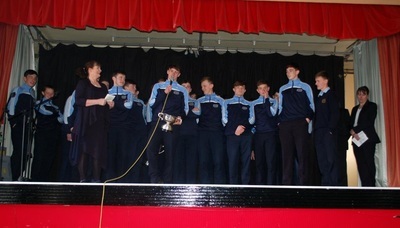 This was a first All-Ireland title in the school's history, and indeed the first national sports team title to come to Mitchelstown. 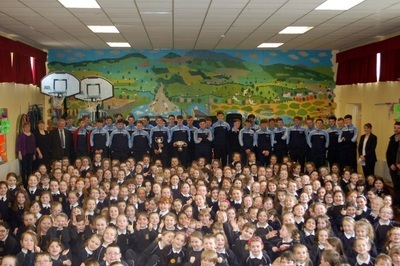 Some of Bunscoil past pupils were on the team and they got a special cheer, especially when they told the pupils that they had a night free from homework to celebrate! Bunscoil na Toirbhirte wishes to congratulate the CBS secondary school on this marvellous achievement.